The Web is like the Wild Wild West: what you find is what you get. And because of that factor anybody can steal a journalist’s work and distribute as his/hers own. I don’t know about you but that’s unethical and plain wrong. So how can you stop it or at least be aware of it before you begin propagating something that has been plagiarized by someone else? Rebecca Aguilar, a friend and board member with the National Association of Hispanic Journalists, might have a solution about this. And she blogged about this issue for the Society of Professional Journalists this week. 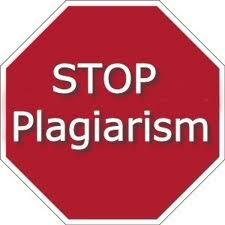 Rebecca has found a good Web tool that targets plagiarism. I think there should be a law against plagiarism, but that’s just me. I’m a journalist. Thanks Rebecca for sharing this with us. To read the blog post go here. Amen, Mc Nelly, amen. Nice to see you are so busy with this, freelance, FIU. You are doin’ it. I have a hello for you from Roy, the food consultant in Deland. He was singing your praises the other day when I interviewed him for something. Thanks and talk to you soon. Hi Bob! I’ve been trying to build this blog/webpage for a while but I’ve been so busy traveling, freelancing and working on other projects EdMoney.org and FCIR that it has been a little difficult. It’s been a crazy and wonderful year to be honest. Give me a call when you can. We are about to announce our gig soon.